Flash animation can be a great to express our idea. Flash Website Design is the great Flash HTML tool to help web master design animated Flash websites, intros, Flash banners, Flash ads. With Flash Website Design you can create your website within less time and without any skill. Flash animation can catch eyes that are otherwise bored with static looking pages, and they can help tell a story better than constant graphics. In keeping with that knowledge Kalyan Infotech offers custom designed embedded Flash elements that work well with search engines for your website. Style and quality are our professional web design credo that ensures ongoing success and progress of your business. Flash Web Design is a very powerful & flexible medium to create impact on the viewers mind. 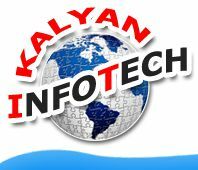 Kalyan Infotech has a longstanding experience in creating top quality and catch eyes designs which vary from simple Flash animation presentations, Banners and Intro pages up to complete sophisticated Flash web site designing services. We have also develop professional website in flash generally used for home page introduction, online demos and promos. We have developed dozens of such projects, including Flash logos designing and never considered them complete until the customer was entirely satisfied with the outcome. Adding flash features to your website will definitely make it more attractive and unique. Flash design is one of the main areas of our expertise. Your Experience at this website will give you a better understanding of our creative potential. You will experience our creativity & professionalism with the maximum return on investment. Flash is used to create animated websites with sound effects and interactive clippings defining the products or services rendered by the owner of that website. Flash web designing has increasingly developed to a magnitude replacing the traditional methods of web-designing. Flash is used for corporate presentations and educational tutorials with having audio streamed in the interactive mode with user control options like fast forward, stop and selection of track. The interactive clippings and movies are used for the enhancement of websites and make an impact on the website browsers. Flash with a hint of static designing technique can lead to a spectacular development of the website and many sectors of businesses ranging from corporate, retails, industries and business offering services can execute the technique of flash designing and attain fruitful benefits from the same. Flash enhances the look of your website and it is designed as per the viewers of your websites.